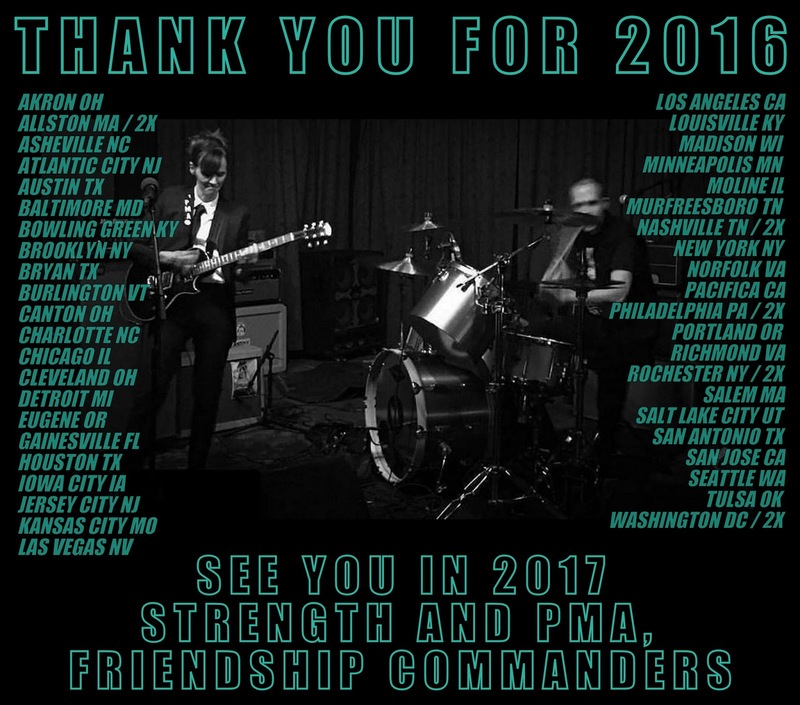 Friendship Commanders: THANK YOU FOR 2016! We are so grateful to you for your support of our work. 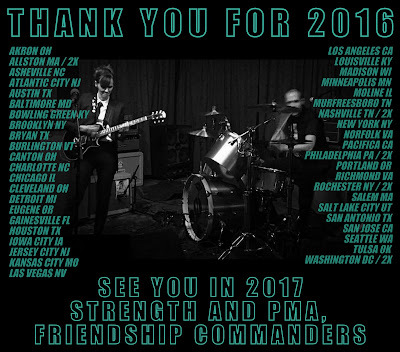 In 2016, we released the DAVE album, did four tours to support it, released the song "Fighting Shape" on the ever-rad Ball of Wax Audio Quarterly, released our cover of Iodine's "Swan Dive" for Halloween, and made and released music videos for "Animals of Pride" and "NMA." You were right there for all of it. We're so ready for a new year of challenges, growth, music, and meeting more of you! Thank you for standing with us; please know that we stand with you, as well. Happy new year.